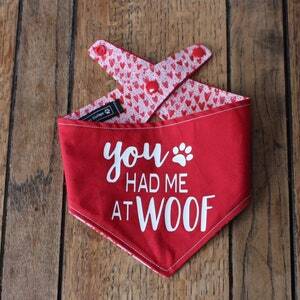 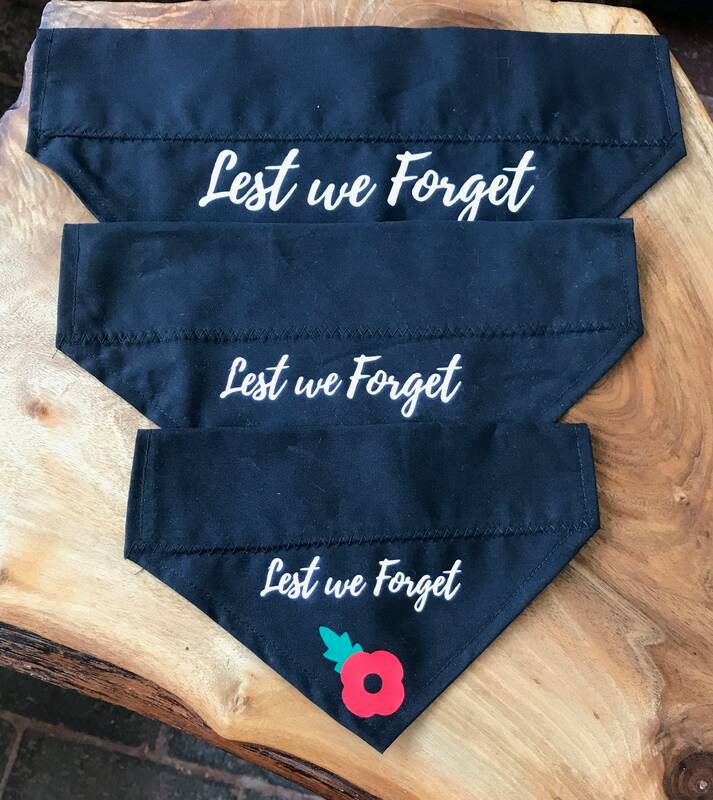 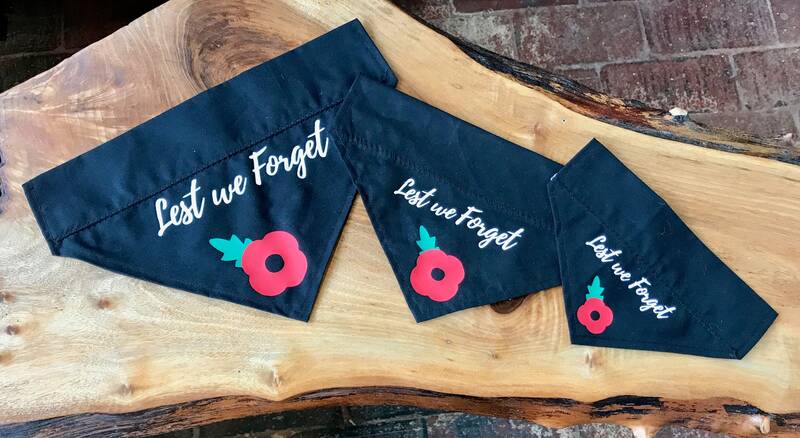 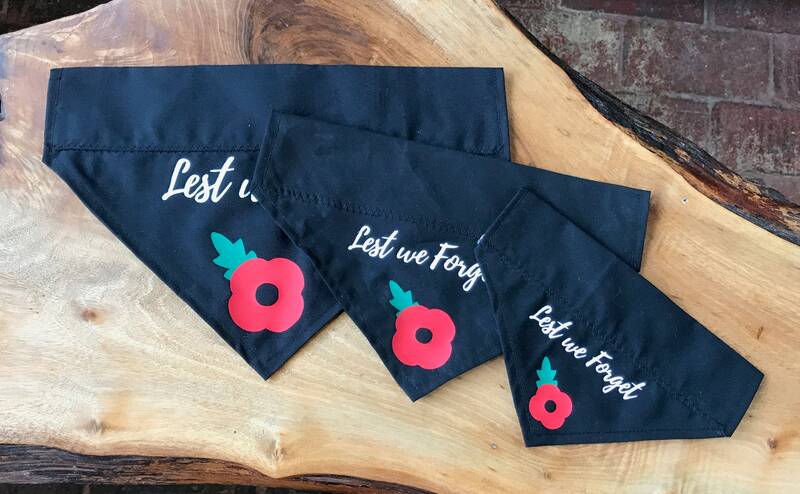 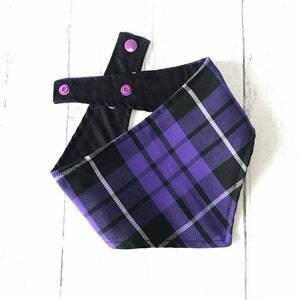 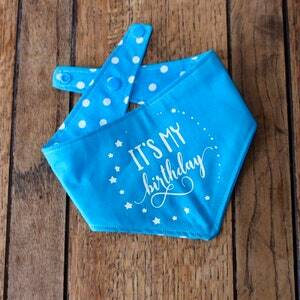 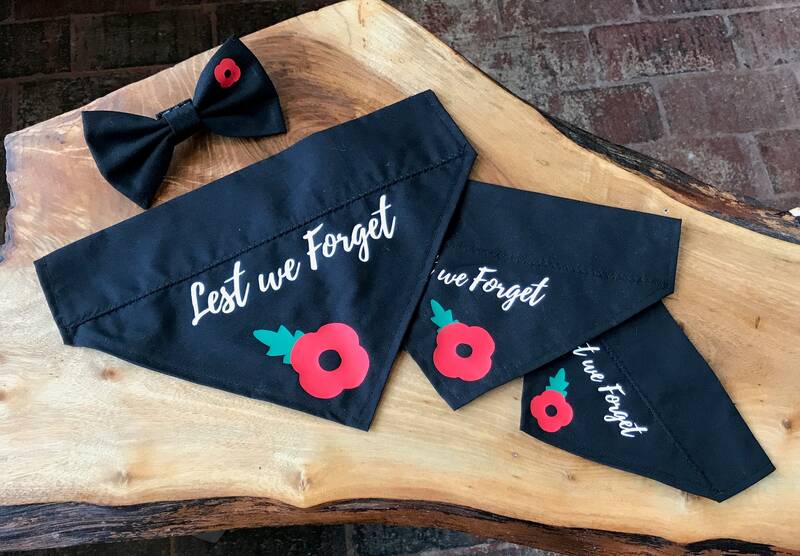 Handmade slip over the collar dog bandana made in a stunning 100% cotton rich Black Fabric with Lest we Forget Text and Bright Red Poppy vinyl design. 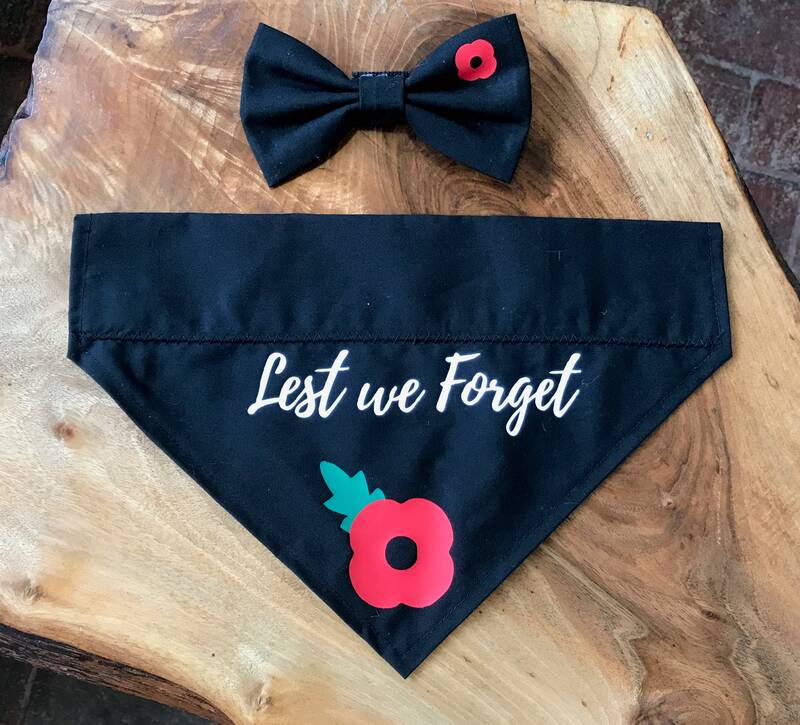 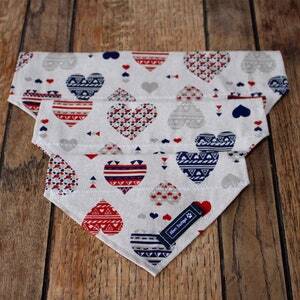 Perfect for Remembrance / Armistice day. 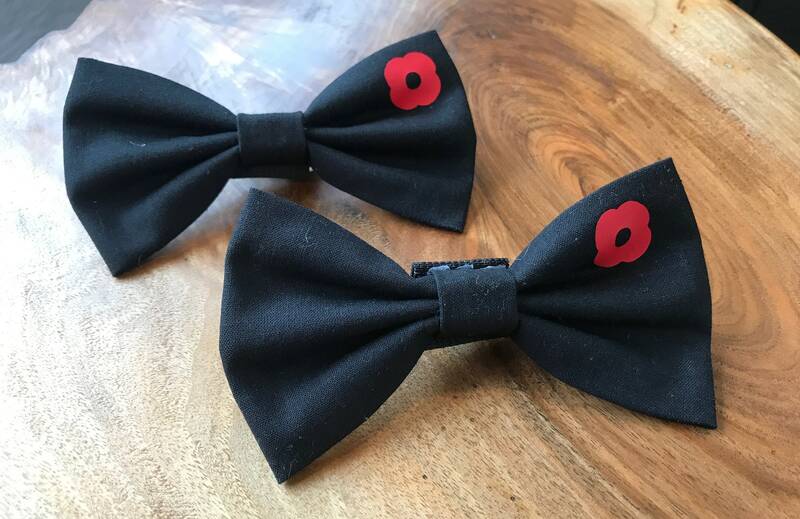 Handmade Remembrance Day Poppy Bow Ties are also available.